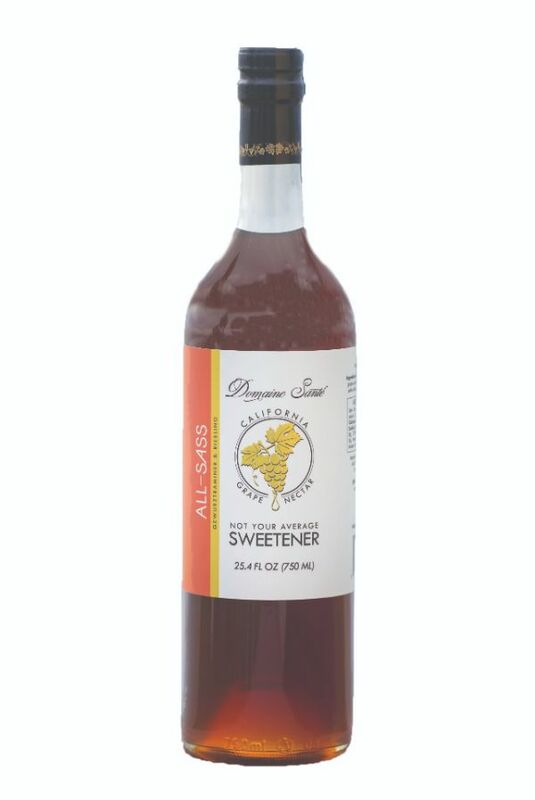 Domaine Santé is a unique, all natural sweetener made from the largest crop in California - grapes. Our All-Sass blends Riesling and Gewurztraminer and elevates cocktails with fragrant and complex aromatics. Liquid Sweetener made from 100% California Riesling and Gewurztraminer wine grapes. Production: Grapes are harvested primarily from Lodi and Mendocino; then pressed with the skins on; water is then extracted through an evaporator at low temperature to maintain the juice quality of the grapes; blended and bottled by hand in San Diego. Tasting notes: Classic flavor profile of Alsatian white grapes; bright and very fragrant; Floral and stone fruit aromas; the newest and second white grape blend; this sweetener will definitely add character to any cocktail.